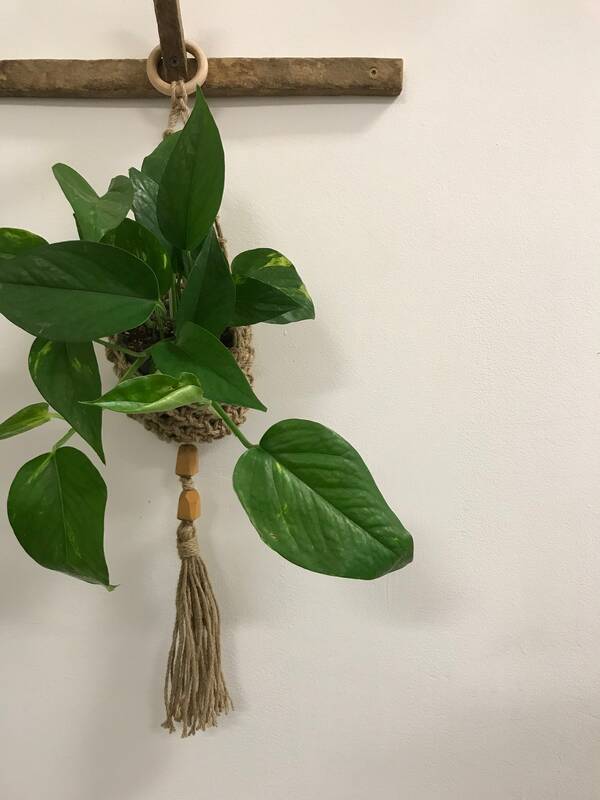 Jute/macrame plant holder. 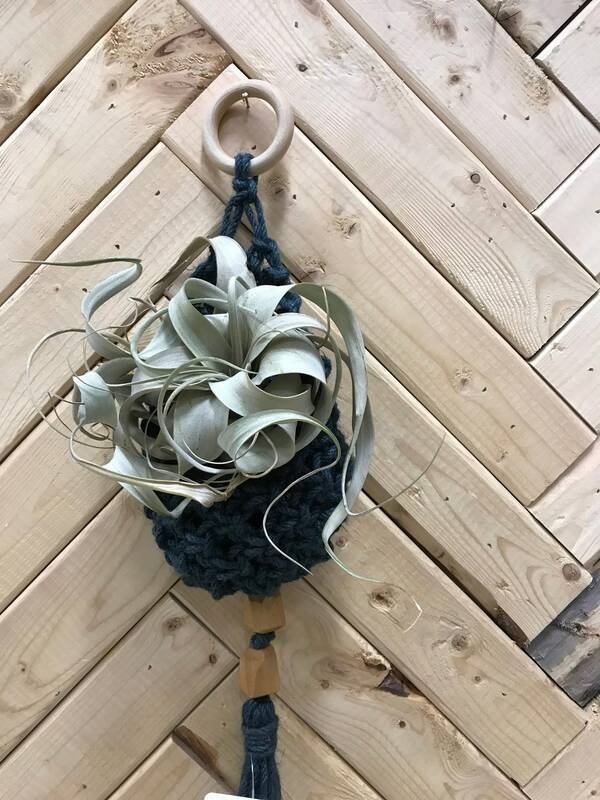 Holds a 4” pot and or airplant. 22” long overall. 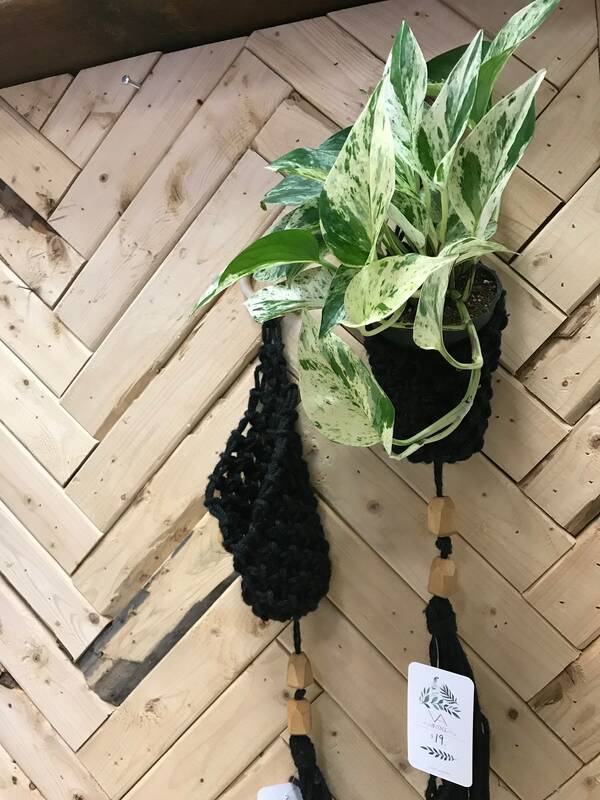 Looks great with a trailing plant or airplant. 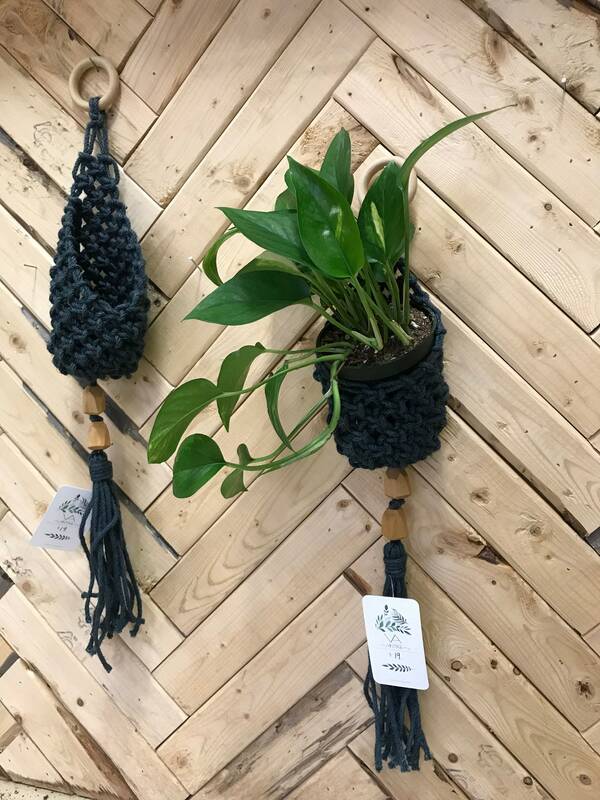 Pothos plant + xerographica airplant pictured. 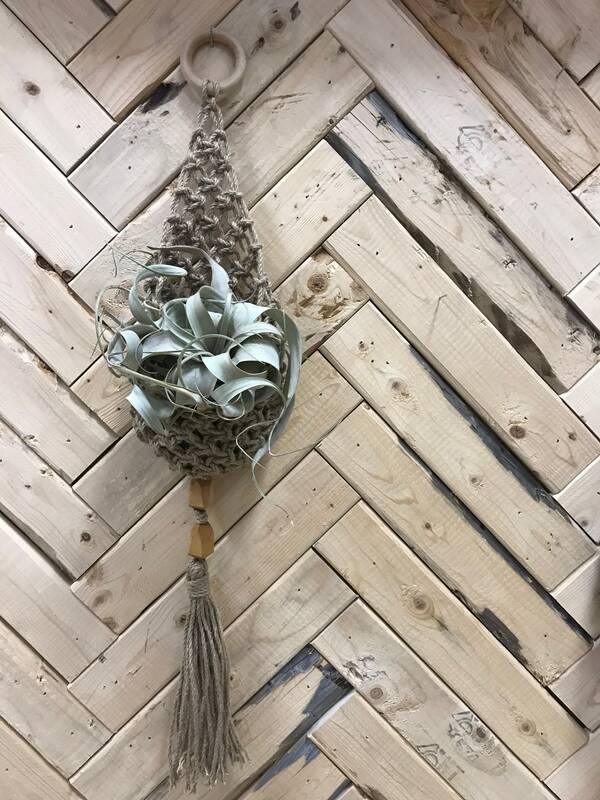 Wood beaded detail on tassel. Plant not included.